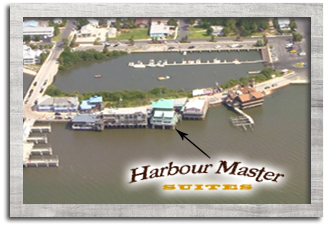 The Harbour Master is located in beautiful Cedar Key, FL. 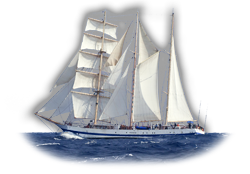 We are on Dock Street, right on the Gulf of Mexico. From I-75 in Gainesville, FL, take exit 384 for SR-24 (SW Archer Rd.) 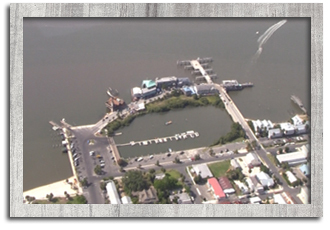 Follow SR-24 52 miles Southwest into Cedar Key. 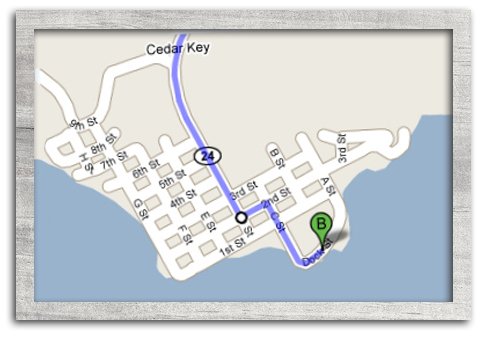 In Cedar Key, continue on SR-24 to the stop sign, turning left onto 2nd St., then take the next right onto "C" St. "C" Street becomes Dock Street. 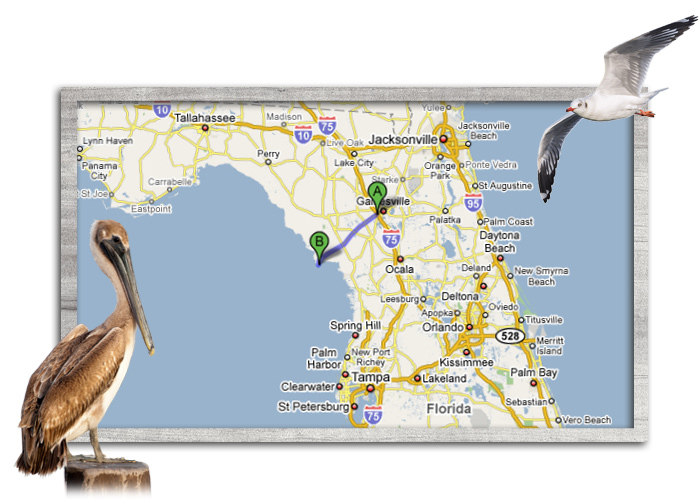 We are located on the Gulf side, just past the city pier and "Steamers Restaurant". You may check in at the Dilly Dally Gally gift shop.